Twelve teachers and a number of support staff have resigned from Thomas Bennett Community College since Easter. 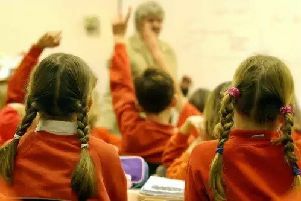 The figure was confirmed by The Kemnal Academies Trust (TKAT) just as the National Education Union (NEU) announced four days of strike action over job cuts. Teachers and support staff from the school, in Tilgate, will strike on Thursday June 21, Tuesday June 26, Wednesday June 27 and Thursday June 28. In addition, members of the Save Thomas Bennett community campaign have planned a march and rally for 12.30pm on Saturday (June 16), from the town hall to Queens Square. The concerns of staff and parents centre around plans by TKAT to cut £987k from the school’s budget. While the Trust said it was undertaking a "restructure", the union said at least 22 teachers and support staff would lose their jobs. Paul McLaughlin, NEU regional secretary, said: "This dispute has been caused by the Trust’s failure to provide the financial support that the school needs. "These cuts, if they proceed, will seriously damage the school. "Our members will take action to defend Thomas Bennett Community College from a Trust that wants to deprive the school of the funding it needs. The strikes follow a ballot which saw 99 per cent of members (from an 89 per cent turnout) vote to take action. Parent Emma Ford said: “These cuts will wreck our school, disproportionately affect students with SEN (special educational needs) and decimate the unique specialist provision the Base provides - something we need more of in the area, not less. A TKAT spokesman said: “We can confirm that 12 teachers and a number of support staff have resigned from Thomas Bennett Community College since Easter. "The notice period means that these teachers will not be leaving until the end of this academic year.